Description Navigate round the little galaxy as a dangerous nuke, destroying the planet you’re on in order to reach a neighbouring globe. Rotate around planets using W and D or LEFT and RIGHT. 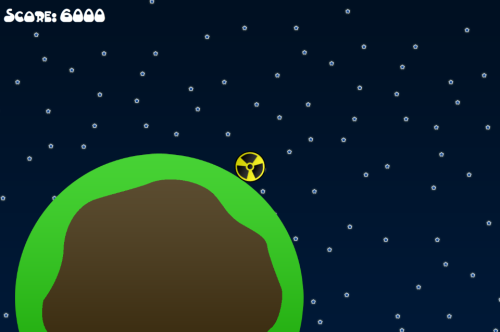 Nuke to a neighbouring planet with SPACE.